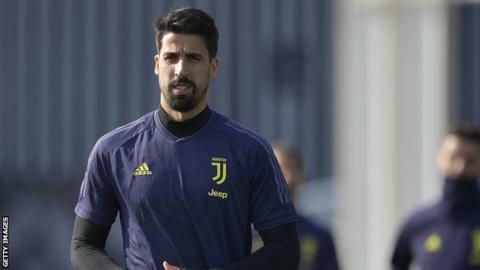 Juventus midfielder Sami Khedira has been diagnosed with an irregular heartbeat and will be sidelined while he undergoes treatment. He will miss Wednesday's Champions League tie at Atletico Madrid to be treated for atrial arrhythmia. Khedira, 31, has only played 15 times this season because of injuries. "Sami Khedira remained in Turin for medical examinations, from which emerged the opportunity to perform an electrophysiological study and eventual treatment of an atrial arrhythmia which appeared today [Tuesday]," Juve said in a statement.